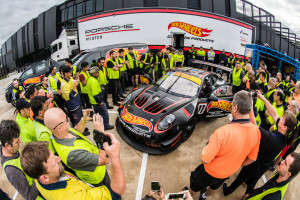 Liam Talbot will partner with international John Martin for the opening round of the Australian GT Championship at this weekend’s Formula 1 Rolex Australian Grand Prix and will unveil a new-look Porsche GT3-R with support from Hot Wheels™ Car Care Products. The duo will be looking to continue Talbot’s form from last year’s Melbourne event where he won Sunday’s race and finished on the podium overall – this year he is leaving no stone unturned to go one better than the second place he finished in the Championship. 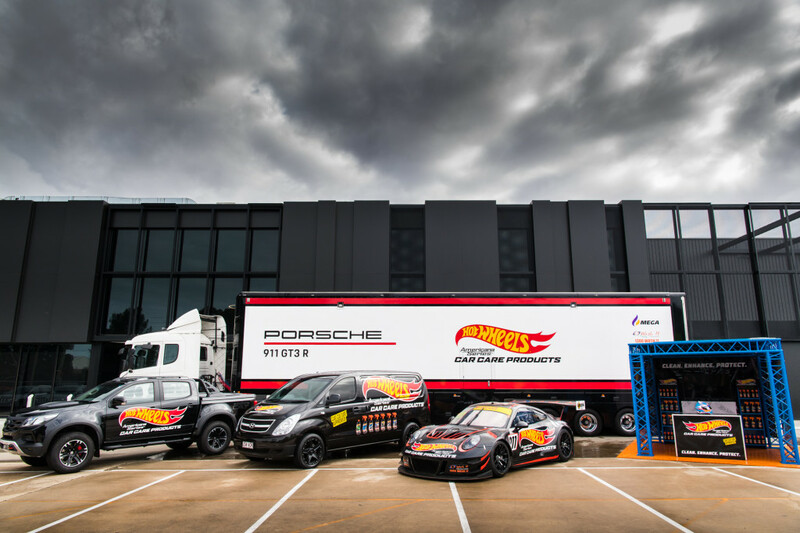 The Walkinshaw GT3-prepared Porsche will also carry support from MEGA Fuels who have been core supporters of Talbot since his return to the Australian Motorsport landscape last year. Hardy Brothers Jewellers and long time supporter, WashIt Australia Mobile Truck Wash will back Talbot’s 2018 efforts also. Buoying Talbot’s confidence heading into the first round is an upgraded aero package and a Balance of Performance adjustment that brings the Porsche in line with its other GT3 competitors. “The new aero package and restrictor have made a huge impact on what we can do pace-wise,” said Talbot. “Last year, we were very much down on speed compared to other marques but with the evolution from Porsche that has been applied, I feel as though we can be quick out of the gate this year. “It is so good to have John back on board as well as a brand new sponsor in Hot Wheels™ Car Care Products. Their products are awesome and will ensure the car has an Epic Shine™ throughout the season and will hopefully generate some mega results. Talbot’s keen to be at the top end of the Australian GT Championship field this year. For Le Mans LMP2 pole-sitter Martin, getting back on board with Talbot in sprint mode for the opening round of the Australian GT Championship is something that excites him. “The Grand Prix has been a happy hunting ground in the past for Porsche, so we’re really revved up about this weekend,” said Martin. “To unveil the car with the new Hot Wheels™ Car Care Products livery and to be joining forces with Liam again is really solid. “The test day we recently undertook was very positive and the evolution of the car this year is super potent and the Walkinshaw GT3 team has done an epic job in preparing the car. 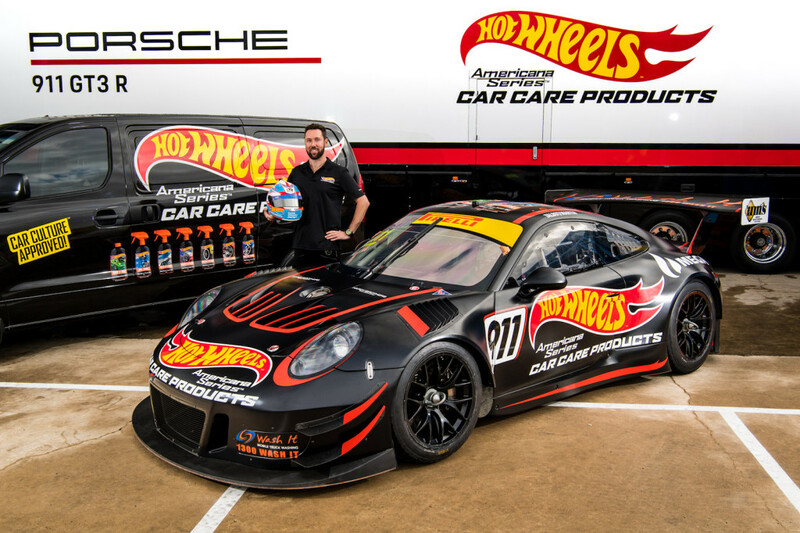 Hot Wheels™ Car Care Products is produced under license from Mattel and was launched in the lead up to the recent Adelaide 500 through announcing James Courtney as a product ambassador. The brand also appears on the Walkinshaw Andretti United cars that will take part in the first Championship round for the Virgin Australia Supercars Championship at the Grand Prix this weekend. Also joining Hot Wheels™ Car Care Products as a new sponsor for Liam Talbot Racing is Hardy Brothers Jewellers to accompany MEGA Fuels, WashIt Australia Mobile Truck Wash and Urban Maintenance Systems on the stunning new livery. The Formula 1 Rolex Australian Grand Prix features four races for Australian GT with the first being on Thursday at 6pm AEDST. To find out more about Hot Wheels™ Car Care Products, head to www.hotwheelscarcare.com.au.